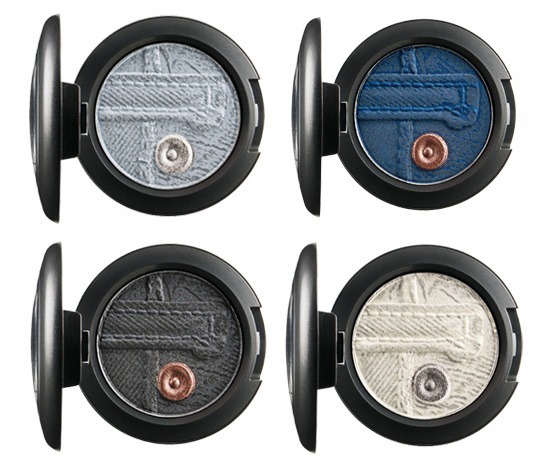 Babblings of a Mommy: MAC New Jeanius Eye Shadows. MAC New Jeanius Eye Shadows. MAC is really getting creative with their new collections, and I'm totally digging it. What to do think of their new Jeanius Collection? SO creative. Those are awesome. Too bad I wouldn't know what to do with them! Aren't they? A simple smokey eye--You would look fabulous!